The adventurous traveling terrier, Mr. Pish, takes us on a personally guided tour to show us what goes on at a farm. 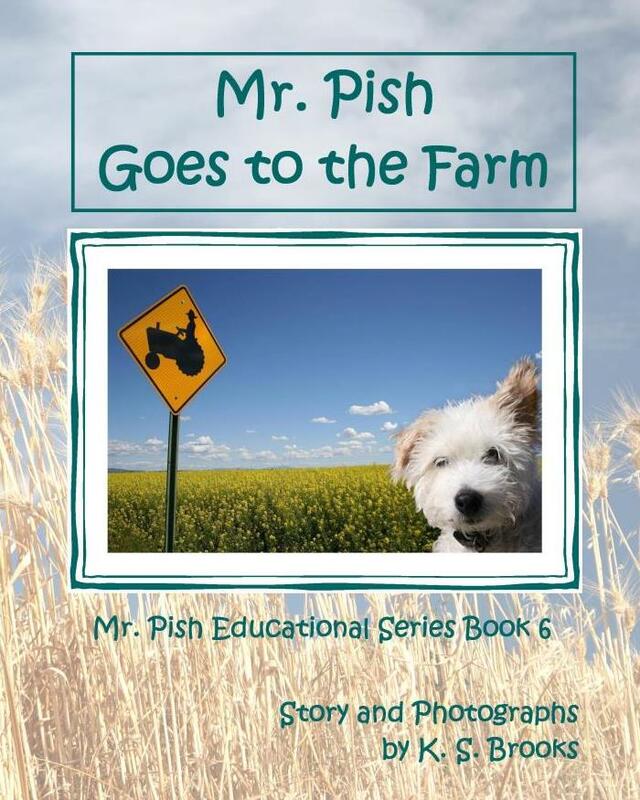 From playing with a cute lamb to driving a big swathing machine, Mr. Pish explores it all in Mr. Pish Goes to the Farm. In this sixth book in the Mr. Pish Educational Series, full color photographs and engaging text provide us with entertaining insight to teach us where our food comes from! This book now has an App! Read about it here. For fun farming websites for kids, please click here.